Wowza nDVR is a built-in feature of Wowza Streaming Engine that enables users to play, pause, resume, and rewind live streams. This custom configuration allows them to control the archive strategy and availability of recorded streams. These streams can be played on multiple platforms like Android smartphones, tablets, Apple iPhone, iPad, etc. 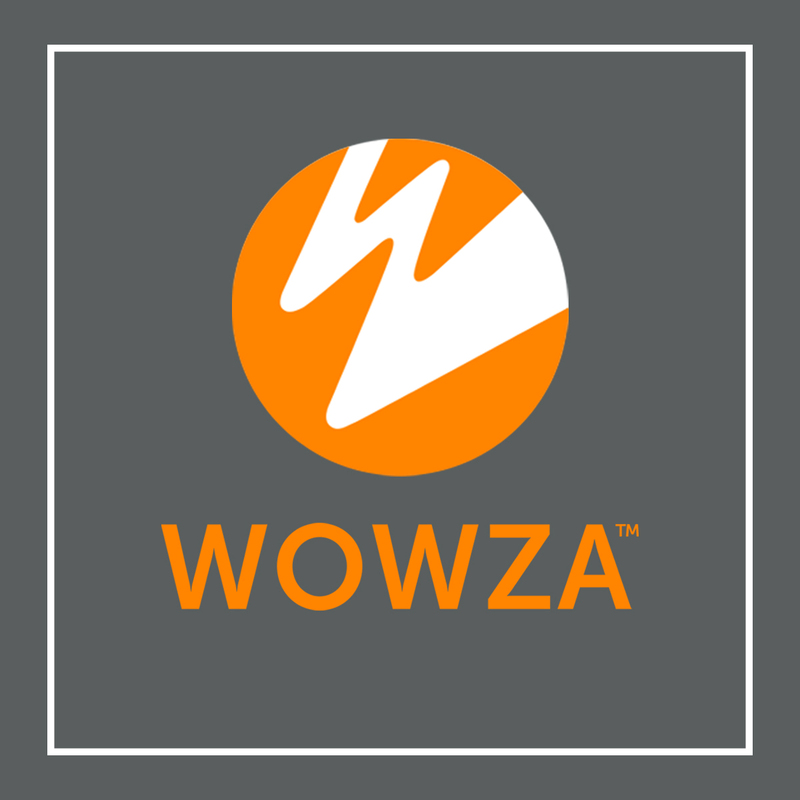 Install and configure Wowza streaming engine from this link. Now click the Live button to select the application type. In the New Application dialog box, enter a name, say DemoDVR, and then click Add. Expand the DemoDVR application in the contents panel, Go to nDVR and click “Enable nDVR”. The Status field will appear, showing that Wowza nDVR is enabled. Click Restart Now to apply the changes. 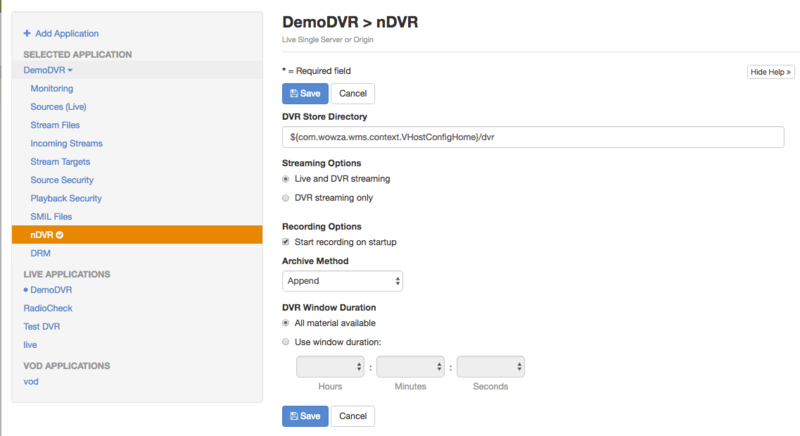 Click Edit to configure nDVR settings in the DemoDVR application. Use the following settings to customize your application configuration to control nDVR behavior. DVR Store directory: It specifies the target path where the DVR streams are going to be stored. 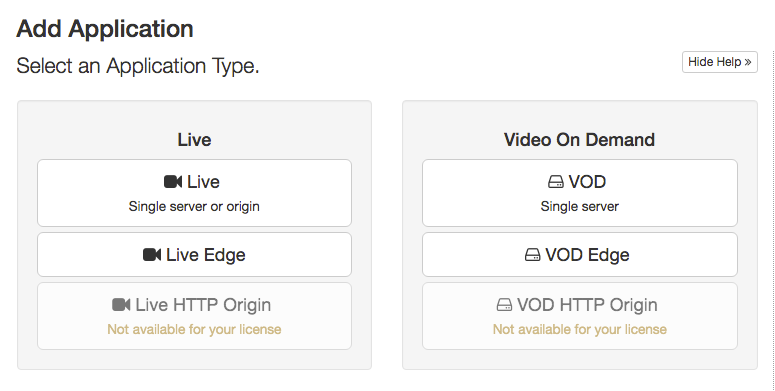 Streaming Options: It specifies the options of playing an incoming live stream by indicating whether the DVR query parameter must be appended to playback URLs. 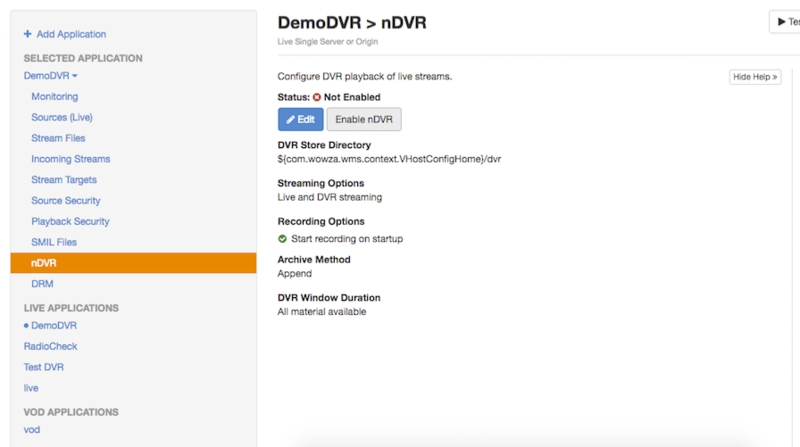 Recording Options: As the application starts, Recording options automatically begin recording a live stream that’s published to the application for DVR. If you want to manually control when the recording starts, you must use the Wowza nDVR recording API. Archive Method: This method specifies what to do with a recording if a new stream with the same stream name is published to this application. VR Window Duration: It specifies the amount of recorded material to be stored in the file that is available for playback. Update the above-defined values according to your requirement and click Save. Restart so that the changes appear in the application. 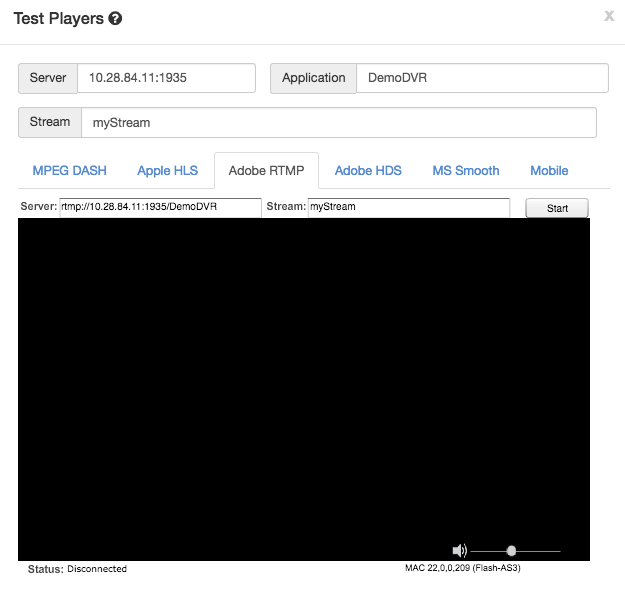 Publish the live stream from your encoder or camera in the DVR application. Finally, start the stream in the Stream Manager to test its recording.